SWITZERLAND, Zurich —Unable to execute the man-made Comet ISON attack slated for December 14, 2013, it appears that a redux of the recently foiled August 24, 2013, Al Qaeda-Syrian Rebel chemical terror plot is now in order for Saturday, December 14, 2013. Although NCAA terror attacks could occur at any collegiate sporting event, there are 2 specific games on December 14, 2013, which are blinking red in respect to state-sponsored terror, mainly due to the location of the games and the teams involved. Based on the cumulative terror-related data, the 114th Army vs. Navy football game will most likely come under a “jihad” attack while the Kentucky vs. North Carolina game will most likely suffer a “race war” bio-terror attack. In both cases, the terror attacks would be seen “live” across America due to the fact that the games will be aired in primetime on the CBS and ESPN television networks. By executing an Islamic “jihad” attack on U.S. military personal and a “race war” bio-terror attacks on African American colleges students on the same day, Islamic terrorists and so-called “racist” American veterans and militia personal will be seen as working together, which is exactly the point. The attacks would bring about the so-called “White Al Qaeda” and would give Obama carte blanche to authorize drone strikes on all American citizens. Naturally, this type of aggression by Obama would spark a second American Civil War—exactly what it’s intended to do. Due to the timely death of Nelson Mandela (a man who curiously has not been seen alive since 2010), over 100 of the world’s so-called leaders have congregated in South Africa where they will remain until December 15, 2013, when the official funeral for Mandela is scheduled to take place. In the event that terror attacks occur in America on December 14, 2013, U.S. President Barack Obama will be in position to grandstand on the world stage and spin the homeland attacks any which way he so chooses. An NCAA “race war” attack, should it happen, will most likely involve assault weapons, explosives, and/or some biological agent (e.g., acid, anthrax, smallpox, etc.) which could be used to target players, coaches and fans in attendance. 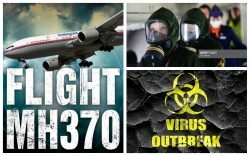 A bio-terror attack, which could be delivered conventionally or aerially, would most likely spark the bio-terror pandemic planned for 2013. In the aftermath NCAA terror attacks, individuals such as STRATFOR intelligence operatives Alex Jones, who was just caught red-handed on November 21, 2013, attempting to set-up his followers for a domestic 9/11-style terror attack on the Dallas Federal Reserve building, will no doubt call for an all-out war on the Obama administration to avenge the acts of state-sponsored terrorism. It is imperative to remember that starting fights between different races, classes and religions is taken word for word from the 3rd Protocol of the Protocols of Zion. As America and the world continue to wake up to the evils of Zionism, namely usury and blatant acts of terrorism against humanity, there will be more and more attempts by Zionists to terrorize and divide the masses in an attempt to distract humanity from their wicked deeds. The 114th Army-Navy football game will kick off on CBS at 3:00 PM (EST) on December 14, 2013, in Philadelphia, Pennsylvania. This is the only NCAA college football game on Saturday and therefore it will have an extremely large television viewership nationally as well as internationally due to troops and sailors watching from abroad. Roughly a year ago on November 27, 2012, Truther.org published a report entitled, “Army-Navy Football Game Has Real False-Flag Terror Potential”, highlighting all the reasons why the game is a lucrative terror target for the Obama administration. Since then, the Obama administration has targeted NCAA football at least 3 times (e.g., the Alabama vs. Texas A&M terror plot (September 14, 2013), the Alabama vs. LSU terror plot (November 9, 2013), and the Baylor vs. Oklahoma terror plot (November 23, 2013), and therefore the likelihood or another attack is rather high. The notion of the Army vs. Navy game being targeted with terror is nothing new. Back in 2007, the Fort Dix homegrown terrorist cell allegedly considered an Army-Navy football game attack but decided it was “too hard” of a target. Coincidentally, the Fort Dix terrorists planned to “strike at the Army-Navy football game at Lincoln Financial Field” in Philadelphia, the same city and stadium where the 2013 Army-Navy game will be held on December 14, 2013. As luck would have it, on November 26, 2913, it was reported that the CIA reportedly turned some Gitmo prisoners into double agents at secret facility and that there is a chance that some of the prisoners might renege on their deal, turn into terrorists, and kill Americans. Coincidentally, on December 5, 2013, it was reported that the U.S. had sent 2 Guantanamo Bay prisoners back to Algeria. Whether or not these GITMO prisoners will return to the U.S. and attack the Army vs. Navy game is not known, but it wouldn’t be surprising if they did. Although Islamic terrorists will most likely be scapegoated for an Army vs. Navy game terror attack, on October 10, 2013, it was reported that 3 former Navy football players were court-martialed in sexual assault case. Whether or not these player will play some role in a revenge terror plot targeting the game is not known, but based on state-sponsored terror plots of the past, it’s definitely possible. In a coordinated effort to highlight the Carolinas, its collegiate sports and its alleged racial divisions just prior to an unprecedented “race war” terror attack, it was reported on December 7, 2013, that a South Carolina sheriff refuses to lower flag for death of President Mandela. This staged event was meant to show a defiant south against black leadership, especially emanating from Africa. Six days later on December 13, 2013, it was reported that a drug bust occurred at a home owned by UNC coach Roy Williams. As evidenced, racial incidents, collegiate attacks, and sports-related attacks are trending in the Carolinas and have set the precedent for an impending “race war” terror attack. Aside from the recent biological outbreaks at the University of California and Princeton University, it was reported on December 11, 2013, that a woman from Texas admitted to sending ricin to Obama, furthering the notion that white southerners who disprove of Obama are engaged in bio-terrorism. Coincidentally, on December 12, 2013, just 2 days prior to the games in question, the UN officially confirmed that chemical weapons had been used in Syria, one again highlighting the notion of chemical warfare. 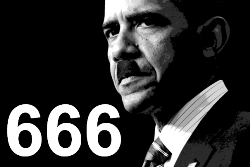 Considering that on December 12, 2013, the health director who allegedly approved Obama birth certificate died in plane crash; on December 12, 2013, a DHS employee calling for genocide of whites was fired; and on December 13, 2013, Obama received a prize for ‘Lie of the Year’, the list of potential “motives” for a “race war” bio-terror attack are long. Although a terror attack against innocent college students would not remove the perceived “illegitimate” president from office, the attack would be blamed on white southern “racists” who hate Obama and targeted the closest venue to them.